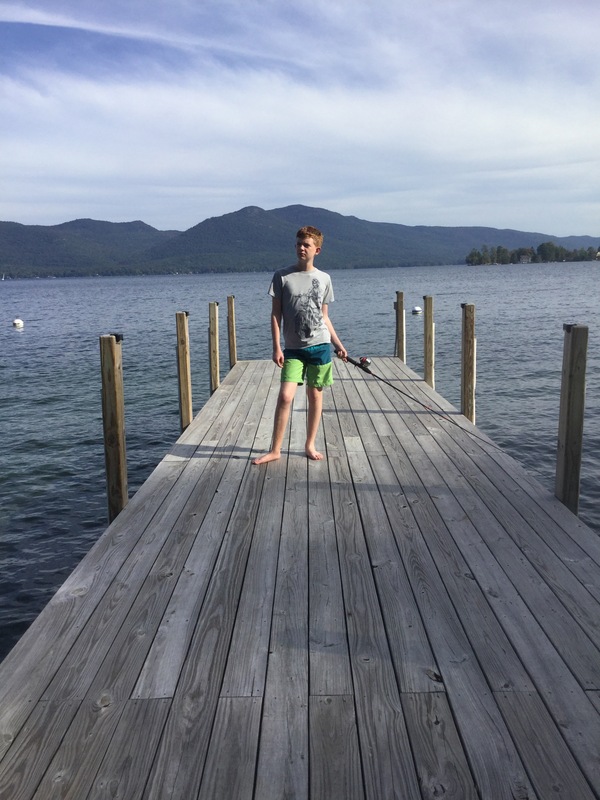 Ian’s school has off for the Jewish holidays — Shana Tova, all — so we took a spontaneous trip to Lake George. We’ve got to drive back Friday night, so don’t have terribly long here. We visited Fort Ticonderoga this afternoon. Steve and Ian are in a canoe with fishing poles now, while I’m goofing on social media in an Adirondack chair on the dock. Later, we’ll go back to the cabins and get dressed for G and Ts at the Sagamore Hotel. Tomorrow, I plan to take pictures of the vintage hotel signs and hike up a mountain. Next > Who Takes Credit for the Economy? That looks like the kind of place where somebody might try to put Baby in the corner. Oh yeah. Lotta places here like that. I’ll share pictures from the good camera when I get back. Just so long as it’s understood the set of people who put Baby in the corner is null. How fun. Not quite empty nesters, but hopefully you are starting to have some of the rewards. Although I don’t understand why the husband didn’t have to work. Hubby took three vacation days. One was just to catch up on chores, like taking the commuter car to Jimmy the Mechanics for the “Fall Special.” The other two were for Lake George. It was weird vacationing when the rest of the world was in work-mode or school-mode. The good thing was that we had a lovely vacation place to ourselves for half the price. The bad thing was that we were never able to turn off. Steve was on his blackberry half the time and I was just anxious feeling like other people were writing things that I should be writing. Blackberry? Why didn’t he just bring a ditto machine and some quills? Maybe it’s not a blackberry. I just call it that because it’s his work phone. It’s probably a Samsung or something. Funny how the blackberry corporation crashed and never adapted. There’s some MBA warning tale in there, I’m sure. The last guy I knew who carried one gave up over the summer. He is also in finance, so I was wondering if Blackberry is still a thing there.